Add a little sparkle & shine to your ensemble with this black designer kurti. The ethnic geometric pattern silk print work with mirror buttons adds a sign of elegance statement with your look. 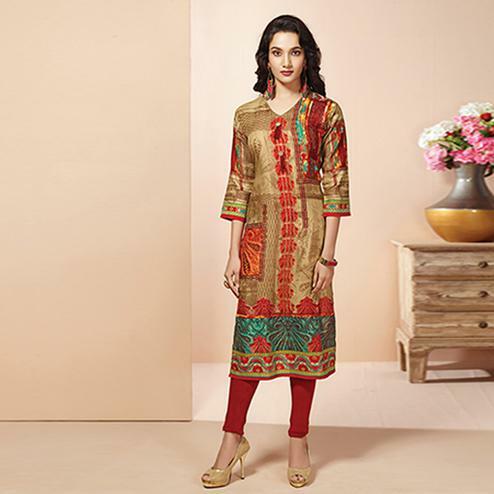 Wear this kurti to look more beautiful in your social circle.